You'll be £14.99 closer to your next £10.00 credit when you purchase Tracing Your Leeds Ancestors. What's this? Explore the lives of your ancestors in the 'city of 1,000 trades' in this family and local history guide, dedicated to the city of Leeds. Learn how to find out more about the streets where your ancestors lived, where they would have gone to school and church and chapel, how they'd have spent their leisure time, what life would have been like for immigrants in the city, and discover more about the different trades in which your family members were involved. Leeds is home to many different archives and collections, from records of major companies such as Joshua Tetley & Sons, Burtons Tailors and Marks & Spencers, to street plans, photo collections and records of theatres and football clubs. Rachel Bellerby's handbook shows you how to get started with your research, building up an intriguing and colourful record of the city that your ancestors called home. It is an essential guide for anyone living in Leeds or with family connections to the city. As referenced in further reading part of 'Research routes: Leeds' feature. A very specific title but useful to those, like myself, with ancestors from Leeds. Whilst the scope of the book is quite small an attempt is made to cover a vast array of material. There are excellent chapters on the history and development of the city and the rest of the book is broken down into themes, e.g. trades, education, poverty. Records and repositories relevant to Leeds are described in detail and information included about where to find different record types (not as straightforward as you might believe). 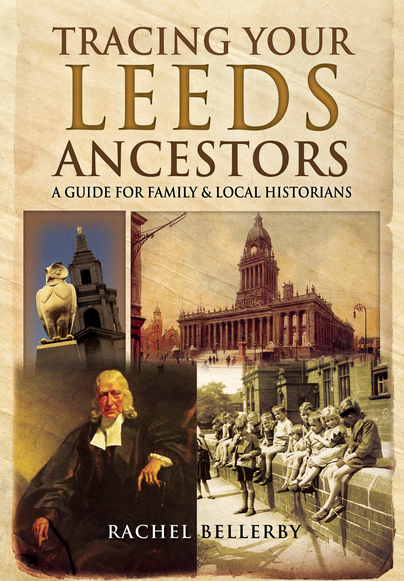 If you have Leeds ancestors you might feel it's worth buying.